Join us for Coffee with a Cop on October 18 from 9:00 a.m.-noon. While you are here pick up a pumpkin! 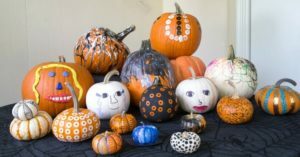 That’s right….pick up a pumpkin to decorate and show us your talents in a pumpkin decorating contest. We will have a limited supply of pumpkins donated and we will have pumpkins available during Coffee with a Cop on October 18. Stop by and pick one up while supplies last or use your own. 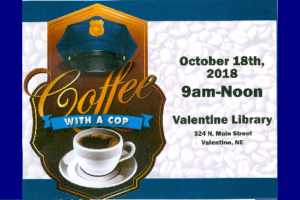 Call VPD Chief Dana Miller at 402-376-3055 or the Valentine Public Library at 402-376-3160.